If you live near a Peet’s Coffee, you can grab the Peet’s coupon here and stop in on Wednesday for a free drink! 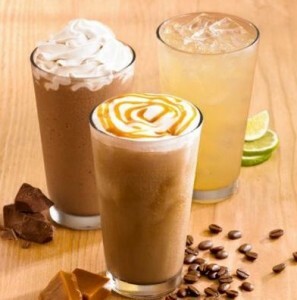 They are offering a free medium iced or blended beverage on 8/1 only from noon until close. You can find a Peet’s Coffee location near you here. One thing I keep forgetting to mention is that my Costco is carrying Peet’s Coffee gift cards now. This might just be in California but get $100 in gift cards for $79.99. You can see more Costco deals for August here.